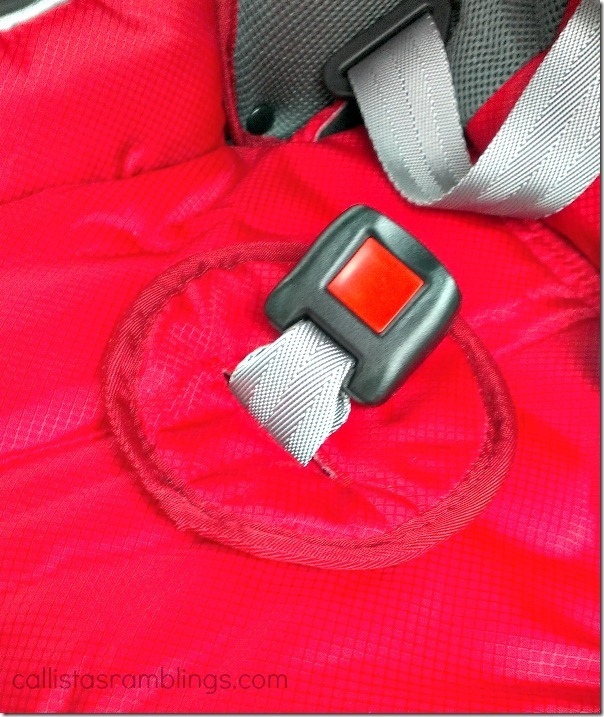 In the market for a new car seat and looking at your options? We had the opportunity to test out a new car seat and bring to you aDiono Radian RXT car seat review (birth and up) and booster seat combo. Aria (age 2) was more than happy to test it out. 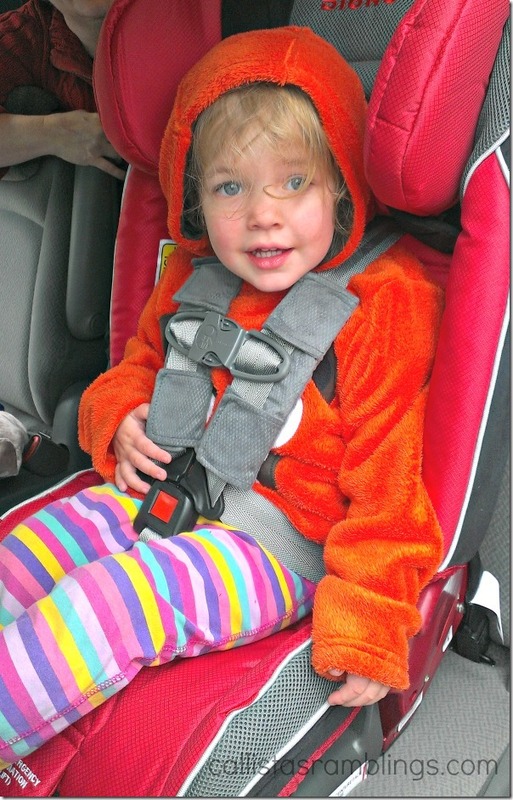 We were using a really cheaply made car seat and we wanted something better. 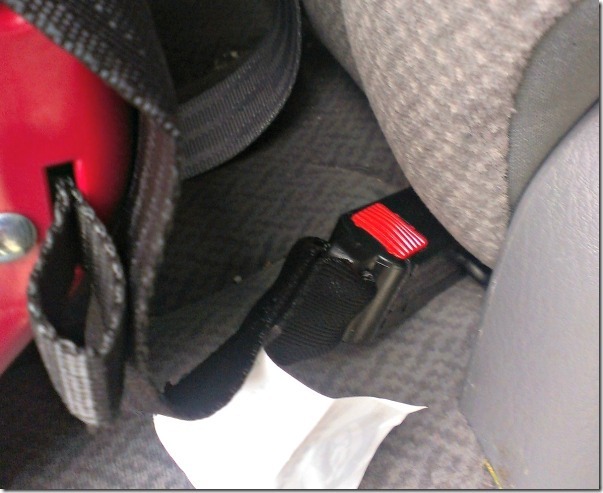 You can really tell the difference between the old car seat and the new car seat. 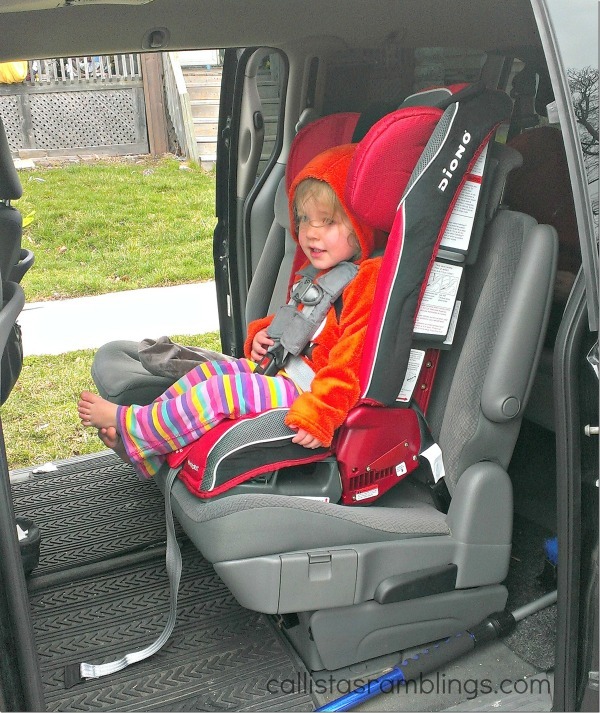 This Diono Radian RXT Car Seat Review is brought to you by Diono. For one, it’s HUGE. IT was quite heavy which wouldn’t be good if you don’t own your own car and have to keep taking the seat in and out of other cars or taxis. But if you have your own car and it can stay in, than the heaviness is a good thing because it will stay put in an accident. If you do need to carry it for some reason, it comes with a shoulder strap that allows you to carry it over your one shoulder or over both shoulders like a backpack. It is also airplane approved. When we took it out of the box, it was folded and clipped together. 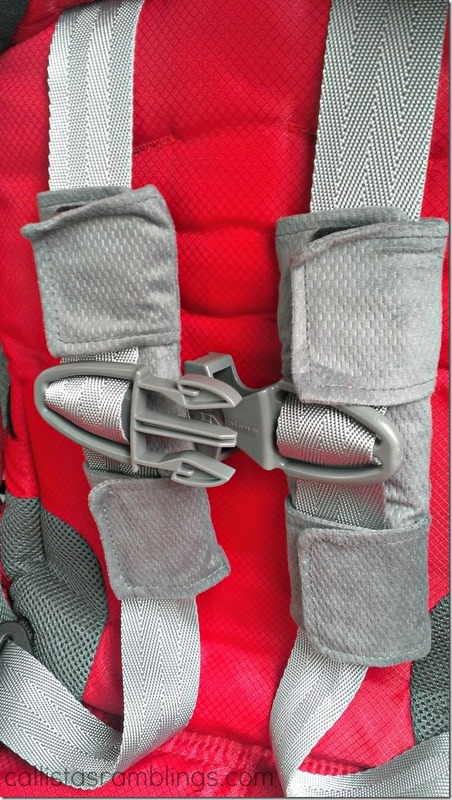 It wasn’t hard to figure out how to unclip it and it took us just a few minutes to figure out how to get the latch/UAS clips out of it’s tucked in space and what straps go where. Lucky for us the shoulder straps and crotch clip were already in the perfect spot for Aria so we didn’t need to adjust those at all. The box had another part that you attach if you use the car seat rear facing but since Aria sits front facing we didn’t have to worry about that. It also came with a cup holder which we haven’t attached yet. First we attached the latch/UAS clips which were made very different than I’d ever seen before but they were much easier to attach than the ones our old seat came with. You can’t tell in the photo but you just push them onto the little metal pieces and use that red button to release if you need to take the seat back out. Then we tightened them and attached the top tether. The instruction manual is very clear on what to do if you aren’t familiar with carseats enough to figure it out. The seat has some nice features that our old seat definitely didn’t. There is a little guard around the crotch piece which I assume is to protect the crotch area and lessen the chance of the skin being pinched while doing it up. The chest clip is much easier to use than my older one and it comes with shoulder guards which stop the belts from digging into your child’s neck. Around the head area is a head guard? which allows the older child a place to rest their head if they are falling asleep and also just provides extra head padding in general. The seat fit in the van perfectly without having to add anything (which has been a problem with many other seats we’ve used.) As you can see it lines up well and when tightened properly, keeps Aria straight and safe. 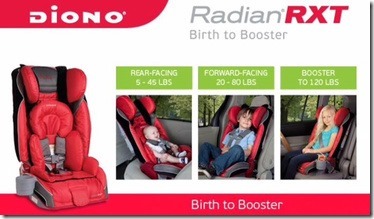 I mentioned before that the Diono Radian RXT car seat is also a high backed booster seat. The seat can fit a child up to 120lbs! That means all of my kids could fit in it if I wanted them to.